Next week we are releasing our single "Will You Be My Girl", containing "Will you be my girl" and "Saving Fights" (Or "Save the faiths" as an anonymous public broadcasting company in Finland thought it should be named, perhaps thinking that we were a Bon Jovi cover band with bad grammar). So on Monday the 28th you should be prepared with a good set of speakers or headphones, and we will bring you 6 minutes of entertainment which you can loop into infinity. About two weeks after the release we will be playing at Popkalaset in Tammisaari (9.6), and the week after that at Popkalaset in Pietarsaari (16.6). 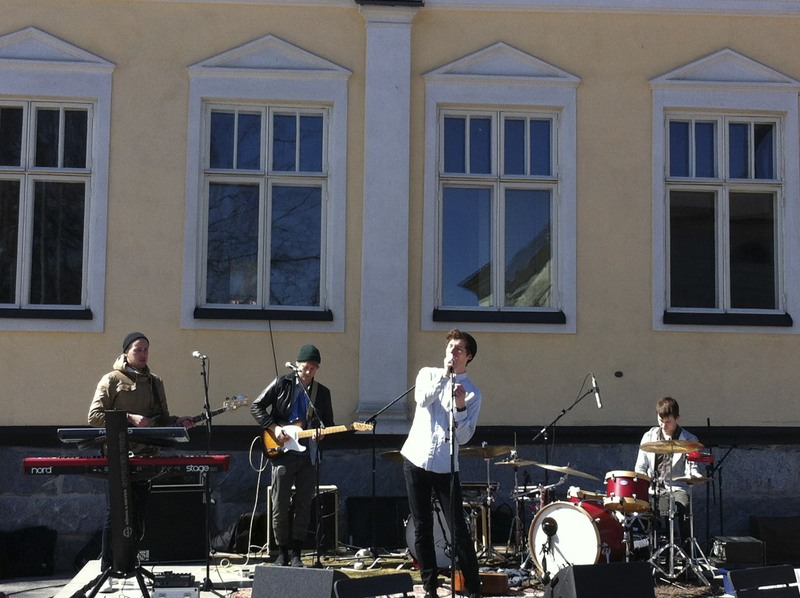 Both evenings will be really good with artists like Timbuktu (SWE) and Svenska Björnstammen (SWE). Also Sebastian will join us on guitar instead of Olli in Pietarsaari, so that will be a re-union you shouldn´t miss.